A new set of iPhone 7 schematics have started circulating around the world wide web today, giving us yet another glimpse at just what Apple has in store for us when the next-generation iPhone launches later this year. These latest blueprint visuals give us an instant insight into the overall form factor of both the 4.7-inch and 5.5-inch models, but unfortunately don’t actually introduce any mind-blowing changes that we didn’t already know about. 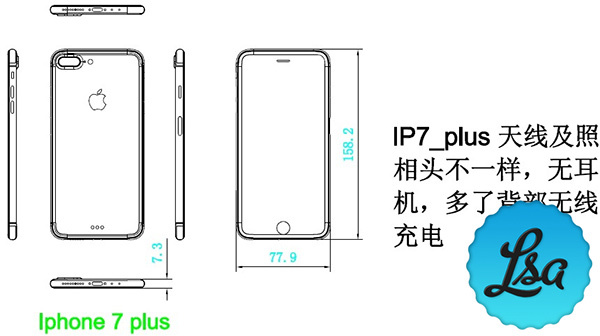 Instead, the schematics confirm a number of rumors that we’ve already been privy to, as well as outlining the very minimal size and form differences between the new hardware and the currently available iPhone 6s range. 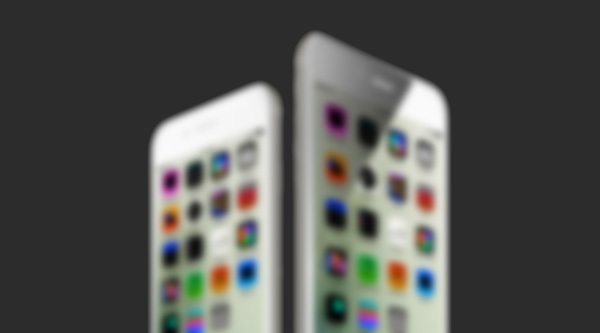 Let’s jump right in with the overall size and form of the next set of Apple flagship devices. The included measurements immediately show that the iPhone 7, which will be the smaller 4.7-inch version of the handset, will come in with a thickness of 7.2mm. That’s a tiny increase of 0.1mm over the current iPhone 6s model. There’ll be plenty of consumers and analysts who see this increased in thickness a backwards step in a marketplace that seems to be obsessed with making everything thinner and smaller, but let’s be honest with ourselves, 0.1mm is entirely unnoticeable to human vision and touch so it really won’t make any difference to the look and feel of the device. The bottom view of the phone also seems to confirm that the hardware will ship without the inclusion of the iconic 3.5mm headphone jack that has been an ever-present in Apple’s smartphone range over the last nine years. In its place, is the speculated additional speaker, at least on iPhone 7. 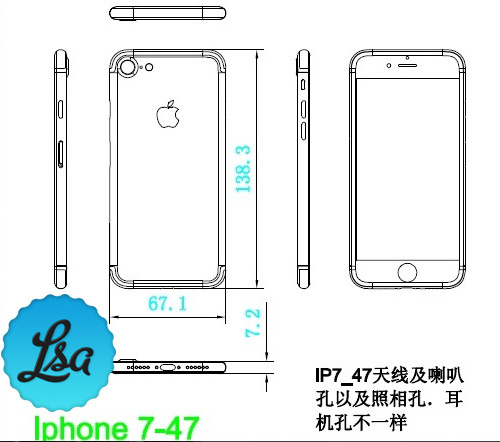 Curiously, the secondary speaker grille is actually missing from the iPhone 7 Plus schematic. Considering the fact that the larger 5.5-inch visual also shows the front of the device to actually be a full display without frame, and no place for the FaceTime camera, it’s likely that omission of the second speaker grille is a lapse in concentration rather than an admission that the model which is set to be the premium offering, will not pack such a major change. One on-device experience that is set to be different depending on the model you purchase is the photography aspect of the iPhone 7. The smaller 4.7-inch schematic shows a slightly enlarged camera aperture that still protrudes from the rear of the phone. The larger 5.5-inch Apple device shows an even larger camera aperture that clearly is intended to house a dual-lens system that we’ve heard so much about. The iPhone 7 Plus also clearly shows the existence of a Smart Connector, which is missing entirely from the smaller iPhone 7 model. 9 out of 10 iPhone owners reveal that they don’t actually know anything about their phone except that their friends use one and that their model is new. do you have a reference to the survey? No… Aside from the fact he’s trolling, most Android/Window/Ubuntu OS users secretly want Apple to succeed, and become the device they really want.